Touring the coast of the Sunshine State is more fun with a Chrysler vehicle from Sunset Dodge Chrysler Jeep Ram FIAT in Sarasota, Florida. Here at Sunset Dodge Chrysler Jeep Ram FIAT, we offer Chrysler lease options that'll help you enjoy your new vehicle even more thanks to lower payments and the freedom to upgrade to a more expensive model without breaking the bank. Take a spin down to our convenient Sarasota, FL Chrysler dealership today to see why more people are changing the game with a Chrysler lease. Among the selection of American-made cars and minivans at Sunset Dodge Chrysler Jeep Ram FIAT in Sarasota, FL is the always impressive Chrysler 300. This sedan gives you raw power, luxury design, and an all-around upgrade to your morning commute. The Chrysler Pacifica and Chrysler Pacifica Hybrid minivans offer that same promise for life with family and friends. You'll get more space, better safety options, and the latest in entertainment to make even the longest commutes a joy. 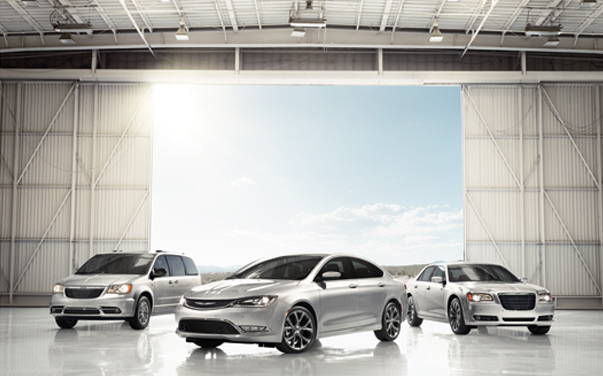 Visit today to schedule a test drive and learn more about our Chrysler vehicles! Wondering why we love Chrysler leases so much? It's because at Sunset Dodge Chrysler Jeep Ram FIAT in Sarasota, FL we love putting you in the best position to get behind the wheel of your dream car. After working with your credit history and assessing trade-in value, Chrysler Capital finance opportunities allow you make the most our of leasing a Chrysler car or minivan. You'll also save if you keep your mileage down. See what else there is to love about leasing by contacting our auto finance center today!